On Sept. 16, 2016, former police officer Betty Shelby shot and killed Terence Crutcher during a routine traffic stop. 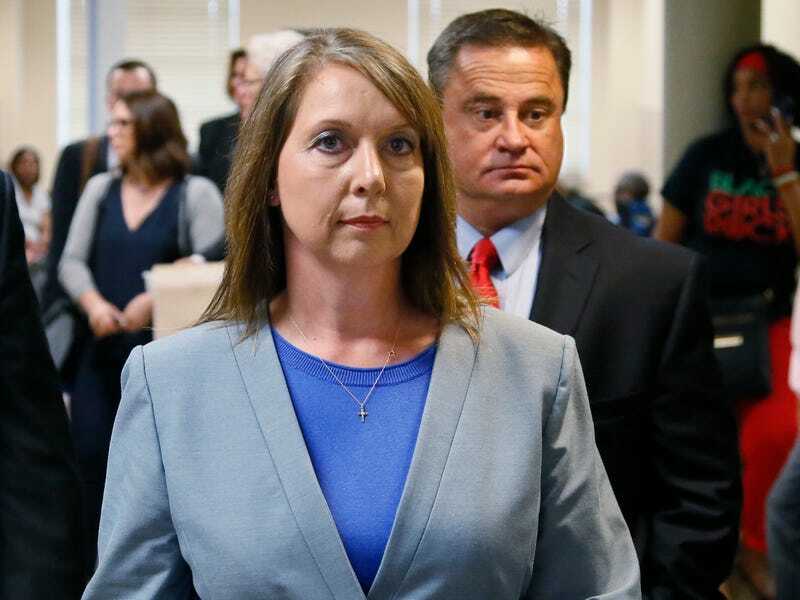 Despite him being unarmed and having his hands raised in the air, Shelby lied to a jury and told anyone who would listen that she “feared for her life.” And after being acquitted of murder, she resigned from the Tulsa Police Department. Now, two years removed from stealing an innocent black man’s life, she’s chosen to exploit his death by conducting a speaking tour in which she discusses “Surviving the Aftermath of a Critical Incident” since “How to Get Away with Murder” was already taken. And to the surprise of no one, the NAACP Legal Defense and Educational Fund ain’t having it. In a letter to the Southeastern Homicide Investigators Association, the LDF asserts that to “share with a national audience of law enforcement personnel how Deputy Shelby ‘survived’ the consequences of a homicide that she committed is inconsistent with the purported work of SEHIA members pursuing justice for homicide victims and their families. Deputy Shelby is not a victim of Mr. Crutcher’s homicide. The late Mr. Crutcher and his survivors are the victims. Deputy Shelby’s subsequent acquittal on manslaughter charges is not an exoneration of her decision to kill an unarmed man that day, as the comments of the jurors following her trial make clear,” the Associated Press reported. Her next speaking engagement, scheduled for Baton Rouge, La., next week, serves as yet another cruel reminder of how America continues to profit from both black anguish and the destruction of black bodies. Updated, Sunday, Nov. 11, 2018, 9:11 a.m. ET: This post has been updated changing the “NAACP” to the “NAACP Legal Defense Fund,” a separate legal entity.